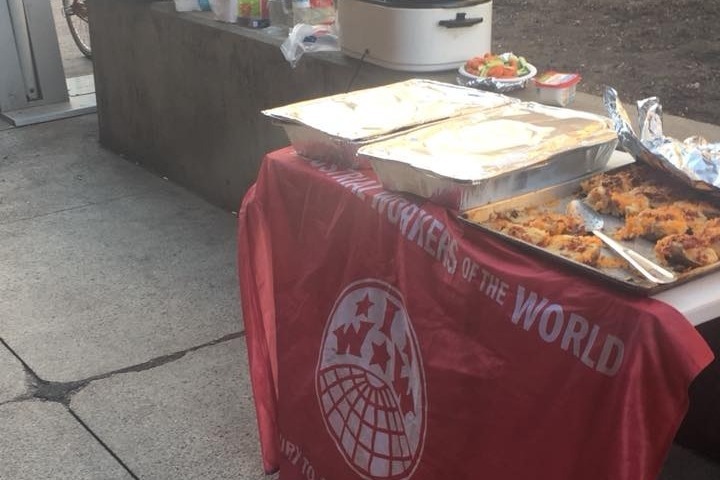 The Madison General Defense Committee Of The IWW Has Been Hosting Free Meals On State St. For Months. Folks Down There Have Expressed Need For Hats, Gloves, Coats and Blankets. To Help Us Get These Much Needed Materials For Folks In Need Who Have Been Forgotten By The For Profit Capitalist System. If You Can’t Afford To Donate Can You Please Share This Post? We are the food security working group of the General Defense Committee of the Industrial Workers of the World of Madison, WI. We have consistently been doing a free meal on State St., with gourmet hot food for folks who are homeless and in need of hot, healthy, satiating meals. We usually serve on Saturdays, but sometimes Fridays and Sundays, almost always right at 6pm. We are working with the awesome group in town, Healthy Food For All Dane County, who’s mission is to make sure that food doesn’t get wasted and folks don’t go hungry in Dane County. They supply us with high quality perishable entrees that would otherwise have been wasted and we prep and serve it to folks downtown on State St.
We have also been lucky enough to work with some folks who are skilled in street medic knowledge and that have been able to assist many houseless folks with various ailments while we serve food.